Through Friday night, Shop Disney is having a Pixie Perfect Bonus Event and offering an extra 30% off over 300 items from across the site with coupon code BONUS30. Free shipping is also included on orders of $75 or more with coupon code SHIPMAGIC. Today only, Shop Disney is offering an extra 15% off select Costumes & Costume Accessories including sale items with coupon code TREAT15. Eligible items are marked. Free shipping is also included on orders of $75 or more with coupon code SHIPMAGIC. Today only, Shop Disney is having a Perfect 10 Sale and offering over 100 items for 40% off, $10 off select items, and they have $10 deals. Find some great savings in this sale! Free shipping is also included on orders of $75 or more with coupon code SHIPMAGIC. Today only, Shop Disney is offering free sitewide shipping with no minimum purchase required with coupon code FREESHIP. Be sure to check out their Sale Section and save on over 790 items from all departments with prices starting at only $3.99. Today only, Shop Disney is having a Sleepwear Sale and offering hundreds of dreamy essentials to add some magic to bedtime for only $12.00 each. Free shipping is also included on orders of $75 or more with coupon code SHIPMAGIC. Through Tuesday night, Shop Disney is having an Autumn Bonus Event and offering an extra 40% off over 300 items from across the site with coupon code BONUS40. Free shipping is also included on orders of $75 or more with coupon code SHIPMAGIC. 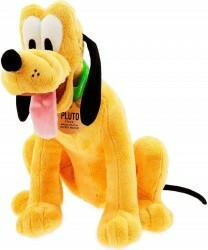 Today only, Shop Disney is having a Toys and Plush Sale. 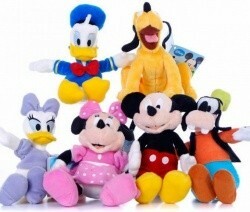 Choose from popular Disney character items starting at only $10.00. Free shipping is also included on orders of $75 or more with coupon code SHIPMAGIC. Today only, Shop Disney is offering free sitewide shipping with coupon code FREESHIP. Be sure to check out their over Sale Items with prices starting at only $3.99 to take full advantage of this great offer. 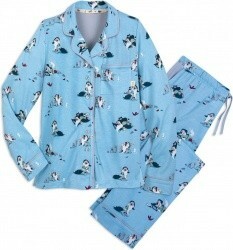 Shop Disney is having a Sleepwear Sale featuring adorable PJs, gowns & slippers with prices starting at only $10.00. Free shipping is also included on orders of $75 or more with coupon code SHIPMAGIC. Sale ends Thursday night. Today only, Shop Disney is having a 9/9 Sale and offering hundreds of $9 items and $9.00 off select items from across the site. Free shipping is also included on orders of $75 or more with coupon code SHIPMAGIC. Today only, Shop Disney has up to 77% off Cars Favorites including toys, clothing, movies, collectibles, home items and much more. (We found much deeper discounts than those advertised). Deals start at only $1.50. Free shipping is also included on orders of $75 or more with coupon code SHIPMAGIC. Today only, ShopDisney.com is offering free sitewide shipping with coupon code FREESHIP. This code can be used in their Almost Autumn Sale with up to 70% off over 550 items from across the site, plus, take an extra 40% off by stacking coupon code EXTRA40. ShopDisney.com is having an Almost Autumn Sale with up to 70% off over 600 items from across the site, plus, take an extra 40% off with coupon code EXTRA40. Free shipping is also included on orders of $75 or more with coupon code SHIPMAGIC. Sale ends Monday night. ShopDisney.com is having an Almost Autumn Sale with up to 60% off over 700 items from across the site, plus, take an extra 25% off with coupon code EXTRA25. Free shipping is also included on orders of $75 or more with coupon code SHIPMAGIC. Sale ends Thursday. Today only, ShopDisney.com is offering free sitewide shipping with no minimum purchase required with coupon code FREESHIP. Be sure to check out their Almost Autumn Sale and save on over 800 items from across the site starting at only $3.99 to take full advantage of this great offer. This weekend, ShopDisney.com is having a Bonus Event and offering an extra 40% off over 500 items from across the site with coupon code BONUS40. 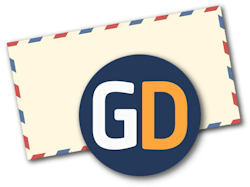 Save on clothing, accessories, baby items, home decor & collectibles, toys & plush and more. Free shipping is also included on orders of $75 or more with coupon code SHIPMAGIC. Offer ends Sunday night. ShopDisney.com is having a Clearance Event with up to 77% off items from across the site, plus, take an extra 25% off with coupon code EXTRA25. Free shipping is also included on orders of $75 or more with coupon code SHIPMAGIC. Offer ends Thursday night. ShopDisney.com is offering free shipping on any size purchase when you add any Halloween Shop Item to your order and apply coupon code HALLOWEEN. 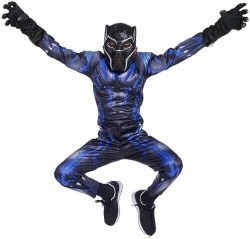 Choose from hundreds of great costumes, accessories and more. Offer ends Wednesday night. Today only, ShopDisney.com is having an 8/8 Sale with hundreds of items priced at $8.00 and some marked $8.00 off. Free shipping is also included on orders of $75 or more with coupon code SHIPMAGIC. 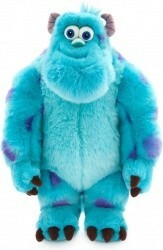 Through Thursday, ShopDisney.com is offering buy one (1) Plush and get one (1) for $2.00, discount applies in cart. 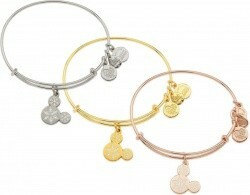 Choose from over 100 adorable styles. Free shipping is also included on orders of $75 or more with coupon code SHIPMAGIC. Today only, ShopDisney.com is offering free sitewide shipping with coupon code FREESHIP. Combine this with their Summer Bonus Event and get an extra 40% off over 500 items from across the site with coupon code BONUS40, and save big! ShopDisney.com is having a Summer Bonus Event and offering an extra 40% off over 500 items from across the site with coupon code BONUS40. Free shipping is also included on orders of $75 or more with coupon code SHIPMAGIC. Event ends Sunday night. ShopDisney.com is having a Hang Ten Sale and offering hundreds of $10 items and $10 off items. Save big on items from all departments during this great sale. Free shipping is also included on orders of $75 or more with coupon code SHIPMAGIC. Sale ends Wednesday night. Today only, ShopDisney.com has up to 70% off in their Clearance Event, plus, take an extra 25% off with coupon code EXTRA25. Free shipping is also included on orders of $75 or more with coupon code SHIPMAGIC. Today only, ShopDisney.com is offering free sitewide shipping with no minimum purchase when you apply coupon code FREESHIP. 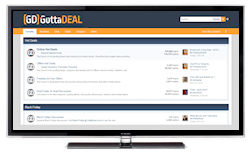 Be sure to check out their Sale Section with hundreds of great items starting at only $0.99. ShopDisney.com is having a Friends & Family Sale and offering an extra 25% off sitewide with coupon code DISNEYPAL. Free shipping is also included on orders of $75 or more with coupon code SHIPMAGIC. Sale ends Monday. 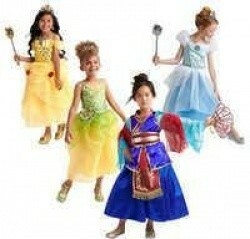 It's 7/7 and ShopDisney.com is having Super Seven Savings with 7 items for $7 and a 7x7 = 49% off sale. Free shipping is also included on orders of $75 or more with coupon code SHIPMAGIC. Sale ends Sunday night. Today only, ShopDisney.com is offering free sitewide shipping with no minimum purchase required with coupon code FREESHIP. Be sure to check out the huge sale they are having and save on hundreds of items with prices starting at only $1.49. ShopDisney.com has up to 75% off over 850 items from across the site in their Twice Upon a Year Sale, plus, they are offering an extra 40% with coupon code EXTRA40. Free shipping is also included on orders of $75 or more with coupon code SHIPMAGIC. Sale ends Tuesday night. ShopDisney.com has up to 60% off over 850 items from across the site in their Twice Upon a Year Sale, plus, they are offering an extra 15% off orders of $50+, 20% off orders of $75+ or an extra 25% orders of $100 or more with coupon code WAVES. Free shipping is also included on orders of $75 or more with coupon code SHIPMAGIC. Sale ends Tuesday night. This weekend, ShopDisney.com has up to 70% off over 950 items from across the site in their Twice Upon a Year Sale, plus, they are offering an extra 30% with coupon code EXTRA30. Free shipping is also included on orders of $75 or more with coupon code SHIPMAGIC. Sale ends Sunday night. 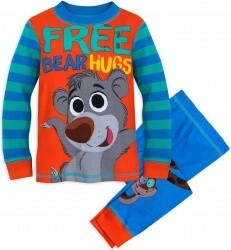 ShopDisney.com is having a 2-day sale and offering an extra 20% off Sleepwear & Baby Items already marked down to up to 60% off with coupon code SNUGGLE20. Free shipping is also included on orders of $75 or more with coupon code SHIPMAGIC. Sale ends Wednesday night. Today only, ShopDisney.com has up to 60% off in their Twice Upon a Year Sale, plus, take an extra 20% off with coupon code EXTRA20. Save on over 1,000 items items including toys, clothing, accessories, home and more. Free shipping is also included on orders of $75 or more with coupon code SHIPMAGIC. Today only, ShopDisney.com is offering free sitewide shipping with coupon code FREESHIP. Be sure to check out the huge sale they are having with prices starting at only $1.99 to take full advantage of this offer. ShopDisney.com has started their Twice Upon a Year Sale with up to 50% off over 1,200 items including toys, clothing, accessories, home and more. Free shipping is also included on orders of $75 or more with coupon code SHIPMAGIC. ShopDisney.com is having a Bonus Event and offering an extra 40% off over 800 items including toys, swim, accessories and more with coupon code BONUS40. Free shipping is also included on orders of $75 or more with coupon code SHIPMAGIC. Sale ends Sunday night. 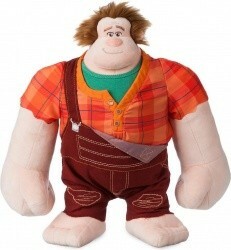 ShopDisney.com is offering buy one (1) Disney Plush, get one (1) for $2.00, discount will apply in cart. Free shipping is also included on orders of $75 or more with coupon code SHIPMAGIC. Deal ends Thursday.